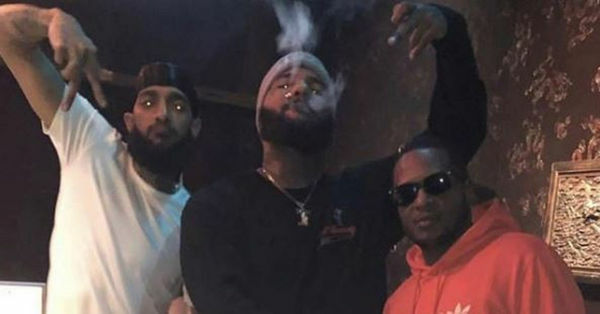 Former NFL star Reggie Bush wanted to help Nipsey Hussle's two children by setting up a GoFundMe page. 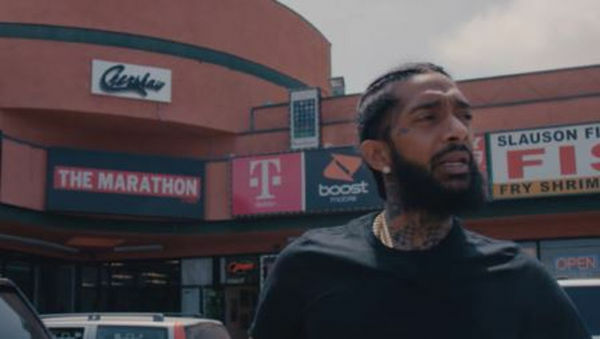 "In partnership with GoFundMe and with the help of our marketing team over at CAA, we have been empowered by Lauren London, Nipsey's girlfriend, to put together a GoFundMe account that directly benefits Nipsey's two kids, Emani and Kross," Bush typed. He also donated the first 10K, with hopes to raise 100K. 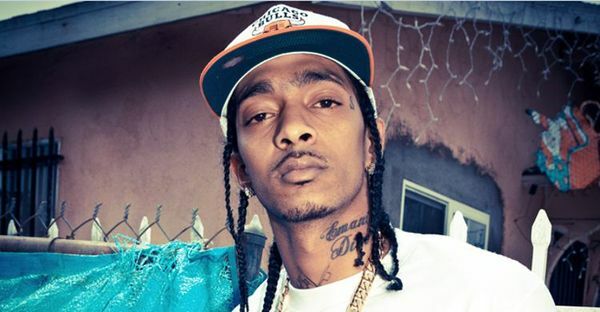 His attempt has run afoul of Karen Civil, who's been involved in settling Nipsey's estate. According to Civil, Bush was asked to remove the page and Tweets referring to it. 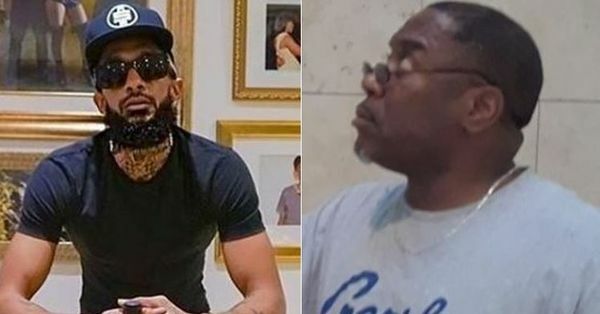 She also suggested Bush was ghoulishly clout chasing and had ignored Nipsey when he was alive. 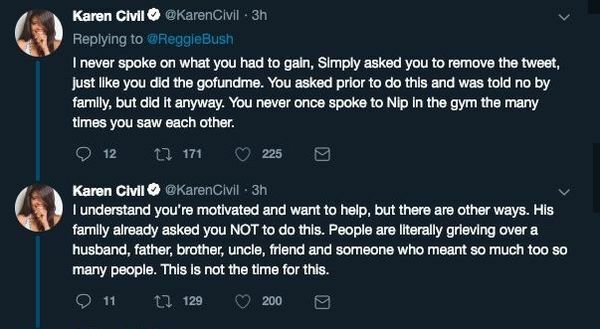 Civil added that instead of donating money to Nip's kids, Bush would be better off raising "that hundred thousand dollars for women who lost their significant other/husband to gun violence and financially cannot provide for their families."